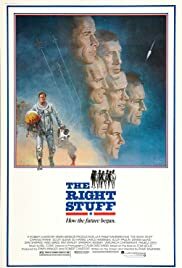 Courtesy of Audiofidelity Enterprises, Inc.
An interesting insight into the United States' space program, beginning with the exploits of fighter pilot Chuck Yeager (Sam Shephard) and concluding with the dramatic flights of the first astronauts. Those astronauts - the Mercury 7 pilots - are a varied group of aviators and they are all pretty interesting guys. John Glenn (Ed Harris) gets favorable treatment in here among the group. Gordon Cooper might be the wildest with the cocky and humorous Dennis Quaid playing him. Overall, it's a good cast including not just the fliers but their wives. 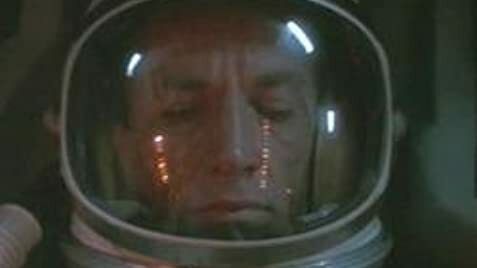 I also enjoyed Scott Glenn as Alan Shepard and Barbara Hershey as Yeager's wife. Yeager's feats were perhaps the most interesting and they set a fast tone to this 3-hour film as we witness him breaking several sound-barrier records prior to the formation of the astronaut team. Then we are treated to a long-but-interesting segment of how those first astronauts were trained. The only unnecessary and ludicrous parts of this film were the ones on Lyndon Johnson, where they made him into a total fool. It was as if the screen writers had a personal vendetta against him, to make him look almost like a cartoon figure. And the bit with the Australian Aborigines smacks too much of Hollywood's love affair with tribal religions. I sincerely doubt some sparks from a fire on earth could be seen miles and miles above in space.